In Today's life Dandruff and hair fall is a common chronic scalp condition marked by flaking of the skin on your scalp. 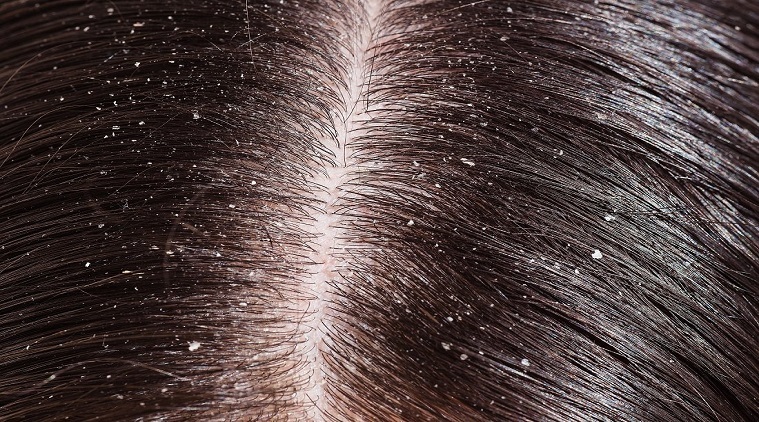 Dandruff isn't contagious or serious disease. But it can be embarrassing and sometimes difficult to treat. Irritated, oily skin (seborrheic dermatitis). This is one of the most frequent causes of dandruff and hair fall, greasy skin covered with flaky white or yellow scales. Seborrheic dermatitis may affect your scalp and other areas rich in oil glands, such as your eyebrows, the sides of your nose and the backs of your ears, your breastbone (sternum), your groin area, and sometimes your armpits. Not shampooing often enough. If you don't regularly wash your hair, oils and skin cells from your scalp can build up, causing dandruff and dandruff leads to hairfall. A Yeastlike fungus (malassezia). Malassezia generated on the scalps of most adults. But, for some, it irritates the scalp and can cause more skin cells to grow. The extra skin cells die and fall off, making them appear white and flaky in your hair or on your clothes. Why malassezia irritates some scalps isn't known. Dry skin. Flakes from dry skin are generally smaller and less oily than those from other causes of dandruff. And, redness or inflammation is unlikely. You'll probably have dry skin on other parts of the body, such as your legs and arms, too. Symptoms -- For most teens and adults, dandruff symptoms are easy to spot: white, oily-looking flakes of dead skin that dot your hair and shoulders, and a possibly itchy, scaly scalp. The condition may worsen during the fall and winter, when indoor heating can contribute to dry skin, and improve during the summer. A type of dandruff called cradle cap can affect babies. This disorder, which causes a scaly, crusty scalp, is most common in newborns, but it can occur anytime during infancy. Although it can be alarming for parents, cradle cap isn't dangerous and usually clears up on its own. Age. Dandruff usually begins in young adulthood and continues through middle age. That doesn't mean older adults don't get dandruff. For some people, the problem can be lifelong. Well selected Homoeopathic remedies are effective for the treatment of dandruff safely without any side effects. BADIAGA 6- Badiaga is one of the top remedies for dandruff. Dandruff sore, dry, tatter like scalp. Also apply an oil of Badiaga on the scalp. KALISULPH 30- Kali sulph is another effective remedy for dandruff. Here the scales have an yellow color. PHOSPHORUS 30-Phosphorus is best for dandruff with falling of hair in large bunches . Also there is severe itching of the scalp. THUJA OCCIDENTALIS 30- Thuja occ. is an effective remedy for dandruff and it is prescribed for white scaly dandruff. Hair dry and falls out. GRAPHITES 30- Graphites is effective for dandruff which is accompanied with skin eruptions like eczema. Scalp scaly with intense itching and humid. Falling of hair occurs. LYCOPODIUM CLAVATUM 200- Lycopodium clavatum is prescribed for dandruff with itching of the scalp and headache. Worse after hot bath. Hair falls out in bunches on combing causing baldness in single spots. NATRUM MURIATICUM 12X- Natrum mur is best for dandruff which is worse on margin of the scalp. White dandruff alternating with catarrh or loss of smell. SANICULA 200- Sanicula is prescribed when scaly dandruff occurs over the scalp, eyebrows and other hairy parts. CALCAREA CARB 30- Calcarea carb is effective for dandruff where the root of hair is painful on combing due to dandruff. CALCREA SULPH. 30- Calcarea sulph. Is effective for dandruff with eruptions. Dandruff on the scalp causing eruptions with thick yellow crusts. Eczema or pimples due to dandruff. Falling of hair. MEDORRHINUM 200- Medorrhinum can be used as an intercurrent remedy in dandruff. 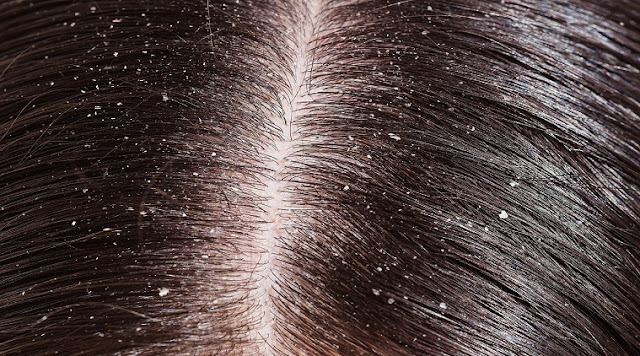 Dandruff with itching of scalp. Hair dry and crispy.